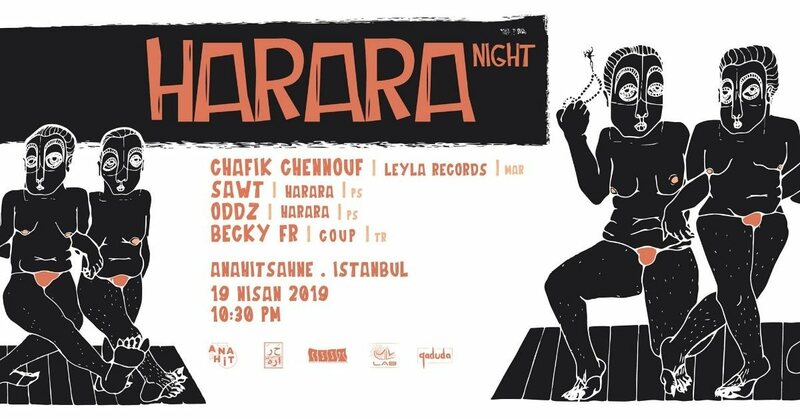 ★ Topping the bill Chafik Chennouf known for his creation of Leyla Records, one of the most respected labels in the current techno landscape. With over ten years experience in the electronic world as a DJ and a producer and label owner. Chennouf first began his journey in techno in the late 90's, focusing on the sounds coming out of Birmingham. later he contributed to bringing some of the key's artists to Holland for the first time even doing early live broadcasts on international and local online platforms. As a DJ he toured USA tand shared many stages all over Europe; Exit Festival in Serbia and Mysteryland Festival. Chanouf also played the legendary Tresor.Berlin (OFFICIAL) which is rightly regarded as one of the most prestigious and sought after clubs in the world. He's a formidable DJ whose varied but impeccable taste makes dependable for a great set every time. With releases on his own Leyla Records imprint, on UK's Opal Tapes and Belrin's Voidance Records you could say his musical talent extends beyond. By bringing Techno and Underground Vibes to Palestine and the effort he put in building up this scene didn’t stay unnoticed, that’s what brought him to cities like Amman, Berlin, Beirut, Vienna, and Turkey, Budapest, Where his unpredictable yet amazing sets fascinated people every time. This year ODDZ took and is being part of big shows, such as NTS Radio guest Mix, Boiler Room , KaterBlau, Fusion Festival, and many more. By releasing his first EP along with Bonime for Harara records he’s been a targeted for bunch of interesting labels from Detroit and Italy. ★ Becky FR has found more and more pleasure in creating eclectic sets focusing on hard techno with a touch of trance, acid and everything in between. His sets are aggressive, provocative, seductive based on raw passion and beauty. He has releases on FBM Roster and Industrial Techno United and is one of the co-founders of C O U P collective as well as now dissolved Mr President and a former resident DJ at the radio FG 93.7. He has shared the stage with names including RØDHÅD, Tiga, John Digweed, Ame, Adriano Canzian Official, Etapp Kyle, Inhalt der Nacht and DYEN. ★ SAWT صوت is a Palestinian electronic music producer currently based in Brussels. His main manner of producing music is based on sound design techniques, where he transforms fieldrecordings into textures, rhythms and melodies. SAWT aimes to create a sonic range where techno, ambient and experimental sounds meet all together.